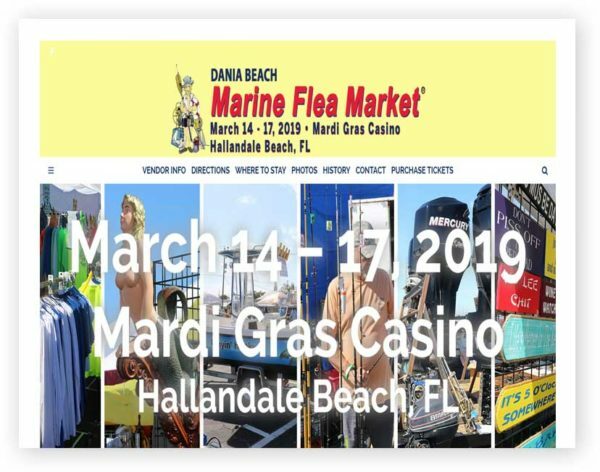 The Dania Marine Flea Market is recognized as the largest nautical swap shop in the world. It all began on a sunny Saturday in April, 1979 when a group of South Florida marine businesses gathered on the parking lot of the Dania Jai Alai fronton to do what Al had envisioned; create an outlet for overstocked and used marine items as well as ‘scratch and dent’ articles and marine products that were obsolete as a result of design changes. Marine vendors at the original Dania Marine Flea Market occupied 56 spaces on the Jai Alai’s 26-acre parking lot. For the boating public, admission to the two-day event was two dollars for adults, kids under twelve were admitted free and the vehicle parking was free.